Securing Smart Cities together with the Cloud Security Alliance today released the Establishing a Safe and Secure Municipal Drone Program report. The new 28-page report, co-authored by the CSA Internet of Things (IoT) Working Group, provides guidance for the safe and secure creation and operation of a municipal drone program by analyzing the drone’s role and impact on future metropolitan areas. The Establishing a Safe and Secure Municipal Drone Program research report first identifies security threats caused by drones and then provides practical guidance on how drones can be used as an effective cyber security tool in smart city monitoring. The report also details the impact drones could have on main municipal aspects such as national security and addresses the required measures needed to protect, monitor, respond to and recover from cyber security threats. Specific recommendations outlined in the Establishing a Safe and Secure Municipal Drone Program research report for municipal drone system operational security include planning requirements, integrated system design, acquisition security, integration, testing and deployment. Smart cities also present the problem of securing environments where systems are patched and devices are controlled. Drones can provide cyber security benefits including identifying rogue signals, monitoring sensing operations, identifying jammed signals and support incident response for other connected systems.  The authors of Establishing a Safe and Secure Municipal Drone Program are Brian Russell, Chief Engineer, Leidos, Mohamad Amin Hasbini Senior Security Researcher, Kaspersky Lab and Martin Tom-Petersen, Client director and partner, Smart City Catalyst.